Last year, Cedar Fort published Lightning Tree , a coming-of-age historical novel about a teenage girl who is haunted by chilling memories from her past. Set in Provo shortly after the Mountain Meadows Massacre, the novel treads boldly through a era of Mormon history many of us know little about--and does so in a way that help us, as a people, begin to contemplate and come to terms with the parts of our past that hurt the most. Scott Hales: Let's say you’re in a room full of strangers and you're in the mood to brag. How do you introduce yourself? Hmm. I think I'd probably start with stuff like, I have seven children, two are adopted from a foreign country, I've published poetry and fiction and I know how to make sushi, Ethiopian Injera and Dura Wat, and a mean veggie enchilada casserole. Oh. And I'm Young Women's president. Because if we're bragging, callings are the thing we should brag most about, right? SH: You've written two novels, including Lightning Tree, which is one of the best Mormon historical novels I've read recently. What do you like about the novel form? How would you characterize the experience of writing a novel? SD: Wow. Thank you for the compliment. I always feel a bit uneasy when people tell me they love my books, like … guys. Did you not *notice* the missing page break and the several misplaced commas? We're so critical of our own work. But anyway. I think I'm just a natural novelist. I've written since I was a kid, and I never thought of writing anything but poetry and novels. I have tried to write short stories and I'm just not that great at it. I don't find my pace or characters until about 75 pages into my story. And then I have to go back and rewrite those 75 pages several times to get it to match where things started to flow. I'd have to write 75 pages of a story, do all those rewrites, then condense it down to the 10,000 or 5,000 or even 1,000 (thank you James Goldberg!) words. I figure I might as well write a novel if I'm going to go that far anyway. I love novels because I feel there is appropriate room for the intermingling of plot and character development. You really get to know characters in a novel. You can in a short story as well, but you don't spend as much time with them, and I'd argue that you are less loyal/caught up in their lives as a result. SH: Lightning Tree is about a teenage girl—an immigrant—in Provo during the late 1850s. What drew you to her character and the world she inhabits? SD: I'm fascinated with old stuff, and frontier mythology. I love looking at old buildings and imagining when they were first built. Imagining what streets looked like, what the untamed landscape was like. The first Fort Provo was built around a mound over near where Geneva Road and the Provo River cross paths. The mound was apparently an ancient Ute Indian burial site. How amazing to picture these things … and to drive around and see streets, houses, neighborhoods instead. I was drawn to the Waldensians because I was interested in the immigration stories of the pioneers. And the Waldensians were a particularly interesting group. A protestant sect living in the wilds of the Italian Alps, persecuted by the Catholic Church, converted by Elders Thomas B. Stenhouse and Lorenzo Snow. This group of people, if you follow their lives, did endure a lot of hardship on the trail and in the communities they settled in, but they were solid, faithful people. They did not complain, they just worked hard. They had such childlike faith. I just love them more, the more I get to know them. SH: Lightning Tree tackles some difficult history, including the Mountain Meadows Massacre. Did you ever worry that the history would be too fringe for most Mormon readers? SD: A little. But one of my passions is issues like these. We seem to have a lot of apologetics/ ignoring going on on the one side, and a lot of rabid anti-Mormonism on the other. I feel like there are very important lessons LDS people can learn from Mountain Meadows, but we haven't been able to explore the issues from a moderate, scholarly, introspective perspective because of how divisive people tend to be on the subject. My goal is to explore these things from all perspectives and come up with something that seems to match most everything I find. To be calm about it, in other words, and just write what is likely true. I have felt guided a lot in this. SH: I notice on Goodreads that Lightning Tree has overwhelmingly positive reviews—except someone did give it one star and called it "dumb." Does that bother you? SD: It sort of does. I have to admit. It's my first novel, after all. I don't have a lot of feedback from people thus far. I do appreciate the critique I receive. There's quite a difference between being in a critique group where everyone might be trying to be nice, and hearing feedback from readers who have actually spent money on your book and feel, therefore, free to air disgruntled feelings. I can look for trends in these critiques and get the most honest feedback I've ever had access to. SH: Tell us about your latest novel, Mile 21. SD: It's a story about a woman who is strong, who has had her life shattered, who is struggling to accept her situation and grieve properly. It's funny, heartbreaking, touching, all the stuff I love in contemporary womens' literature. Okay, was that enough bragging? I think most anyone who picked it up would love it. It's a story that is very close to my heart as well. SH: How is writing a novel about contemporary life different from writing a historical novel? I imagine the research is much less challenging, but I could be wrong. SD: I agree with you. Contemporary fiction is easier to write. You don't have to look up facts and do two hours of research for every hour of writing, for one thing. And you don't stress over whether you're creating the right "feel" or putting things in their proper place or including accidental jarringly modern dialect. But I have to say my heart is in several different genres. Historical and fantasy fiction are equally difficult, I think, for similar reasons, though with historical, you're discovering what things were like, and with fantasy you're deciding what things are like. SH: As far as I can tell, you write mainly about Mormons. Why write about Mormons? I imagine some people would find that very limiting—especially when you consider the relatively small number of people who actually read books about Mormons. SD: I have so far. I think it's because, growing up in the "mission field," where there were few Mormons and a much lower infusion of Mormon culture, going to an LDS bookstore was an emotional high for me. Reading LDS fiction made me feel like I belonged somewhere. I have very warm feelings for Jack Weyland, the Yorgason's, and Chris Heimerdinger's stories, for instance. It was like I had a glimpse into what it would be like to not be the Weird Mormon Girl at my 3,000 student high school. My next project will be a much more general-audience-oriented story, but I'm thinking my main characters might still be incidentally Mormon. SH: Which writers—Mormon and non-Mormon—have influenced your work? SD: Joan Aiken, Madeline L'Engle, Elizabeth Peters, Francis Hogson Burnett, Barbara Kingsolver, David Quammen, the Yorgason brothers probably, Jack Weyland probably, Chris Heimerdinger probably. SH: When you aren't writing, what are you reading? SD: Everything. I'm working on upping my ingestion of Classics, however. I think I could use more serious fiction. But I love fantasy, serial mysteries, classic young adult and childrens' literature, historical fiction, contemporary women's fiction. My guilty pleasure is to buy and laugh really hard through those old 60's and 70's era Harlequin romances with the red pages. I take too much delight in those. It's kind of a shared joke amongst the female members of my family. We buy each other large stacks of them for Christmas, then sit around the Christmas tree laughing over titles, cover art, and back-blurbs. We're evil. SH: I don't know exactly how big it is, but I know you have a big family. How do you find time to write? SD: I make time. I have a word quota. I think Heavenly Father helps me a lot, to be honest. I spend about 1.5 - 2 hours writing per day, and I try to do 1100 words before I stop. If I'm editing, I try to edit a chapter before I stop. SH: When are you most productive as a writer? SD: When I've got all my counters clean, my dishes done, my floors swept, and my kids fed and seated around the table doing their math or reading or writing. I usually try to get things done before the older kids come home from school, because then it's chaos. Sometimes I've had to allow writing to cut into my evenings. I think the biggest thing that has helped me was the inspiration that this is something I'm supposed to do. For whatever reason, writing makes me a better mother, wife, church person, etc. So I keep doing it for my sake, but the sake of those around me as well. SD: You're welcome. Thank you! Sarah Dunster is wife to one, mother to seven, and an author of fiction and poetry. Her poems have appeared on Wilderness Interface Zone as well as in Victorian Violet Press, Segullah Magazine, Dialogue: Journal of Mormon Thought and Sunstone Magazine. 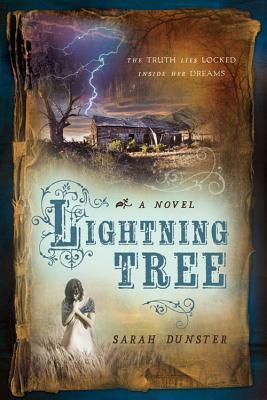 Her first novel Lightning Tree was released by Cedar Fort in April 2012. When she is not writing, Sarah can often be found cleaning, cooking vegetarian meals, holding small people in her lap, or taking long, risky walks after dark, especially in thunderstorms.